A Coventry man who wanted to get an HGV licence so he could import cocaine has been convicted of attempting to traffick drugs into the UK. Tudor Williams plotted to import huge amounts of cocaine and amphetamine from Holland in April and May this year. National Crime Agency officers arrested Williams, 46, after he handed a carrier bag containing £32,625 to Mohammed Taj in the Sparkbrook area of Birmingham. Officers then searched Williams’s home in Dulverton Avenue, Chapelfields, and found a further £19,970 in cash and several mobile phones. One of the phones revealed e-mails between him and two people in Holland and plans to bring multiple kilogram quantities of cocaine and amphetamine to Britain. They planned to hide the drugs within pallets and initially intended to import up to four times a month, eventually increasing to 10 times a month. Williams also stated that he intended to take his HGV test to bring the drugs over from Holland. He even travelled to Rotterdam in May with his girlfriend where he met other conspirators to discuss the enterprise. Williams denied any knowledge and said the mobile phone belonged to someone else, but his DNA was recovered from the handset. Today at Birmingham Crown Court, Williams was jailed for 12 years after pleading guilty to conspiracy to import class A and B drugs. A Coventry man who was jailed for his part in plots to smuggle hard drugs from Europe today lost an appeal against his £177,380 court bill. 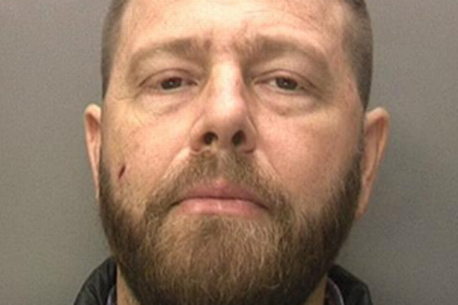 Tudor Williams, 49, was caught after he was seen handing over more than £32,000 to another man in Birmingham in May 2016. He claimed the money was intended to pay for renovations to his property in Italy, but police linked him to drugs conspiracies. In November 2016, he was convicted of conspiring to import cocaine and amphetamine and jailed for 12 years at Birmingham Crown Court. He was also hit in the pocket when a judge handed him a confiscation order in January 2018, stripping him of £177,380 in ill-gotten gains. Williams, of Dulverton Avenue, Chapelfields, had agreed the order, but today took his case to the Court of Appeal in a challenge to the amount. He claimed he had not been properly represented by his lawyers and did not understand what he was doing when he agreed to the order. He said the only thing he thought he was agreeing to was a small reduction in his bill to recognise his partner's share of their home. But Mrs Justice Elisabeth Laing, sitting with two senior colleagues in London, said the appeal was "unarguable". She said the evidence showed that Williams' lawyers had not pushed him into accepting the confiscation amount. He had agreed the confiscation order to avoid a hearing in which he might end up even worse off, she said. "His concern, which was reflected in the agreement, was to preserve as much as possible of what he contended was his partner's share in the home," she said. "We consider he must have realised that, if there was a hearing, there was a significant risk that 20 per cent of the value of that property would not be attributed to his partner. "The grounds of appeal against the confiscation order are not arguable."